This touch screen Android head unit is special for Toyota RAV4 2013, 2014, 2015, 2016, 2017 year models, with CAN-BUS decoder included to support steering wheel control and factory back up camera. 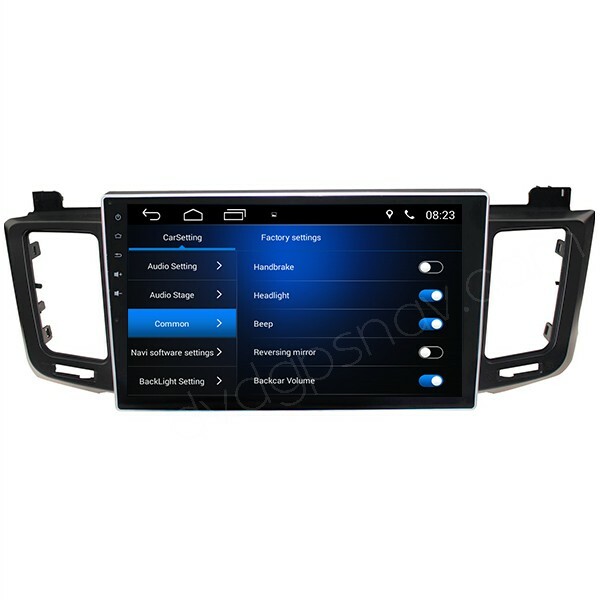 This touch screen Android head unit is special for Toyota RAV4 2013, 2014, 2015, 2016, 2017 year models, with CAN-BUS decoder included to support steering wheel control and factory back up camera. 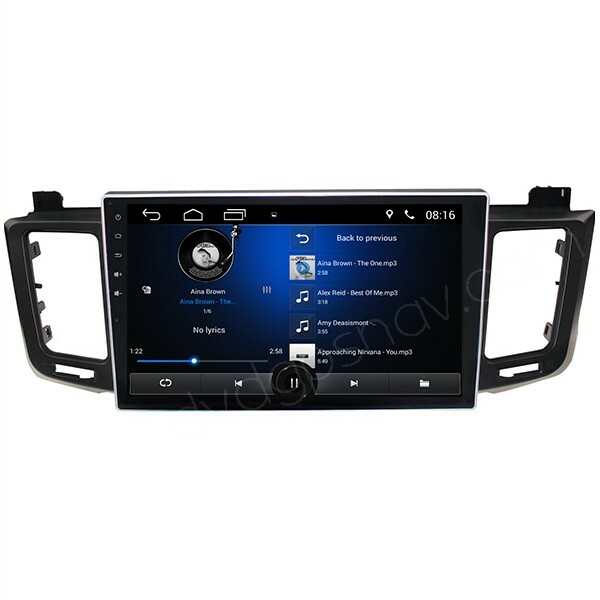 The new Toyota RAV4 Android replacement radio is with HD 10.1 inch large screen, without DVD player function, but it can also play videos through USB or built-in memory. 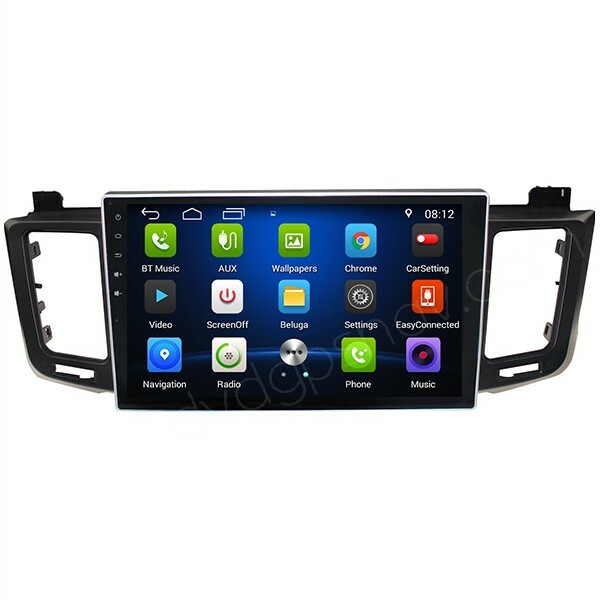 In order to make sure this Android Toyota RAV4 navigation fits your car, please send us your car model, manufacture year and a dashboard picture to sales@dvdgpsnav.com, so that we can check for you. Q: I would like to replace unit in 2014 Rav4. You indicated it does not have XM radio, is there another model or can I purchase a separate XM tuner to add to it? If so, what do you recommend? A: I'm afraid not, there's no XM radio available here for us to test. We don't have any replacement unit with XM radio. Q: Do I have to pay to update the GPS maps regularly and how is it upgraded. Thanks. A: Our GPS maps are free, when GP maps update is available from us, we can send you a link for you to download by then. Q: Does this support Google map or can I stream from my phone with the latest Android 8.0. Thanks. A: It supports Google maps, Bluetooth can stream music from your phone to the unit. Q: I see it does not have XM radio, what about HD radio? A: It just has regular FM/AM radio built-in. Q: Does this support the factory backup camera? 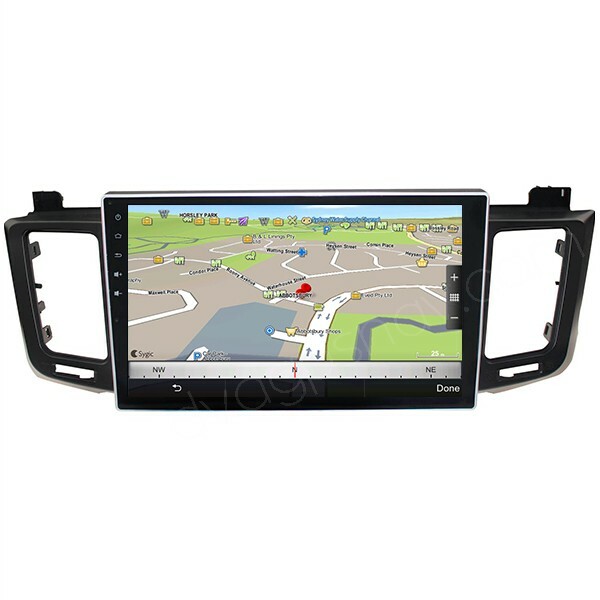 A: Yes, this 10.1" Toyota RAV4 Android radio supports factory backup camera. Q: How easy is to install in a Toyota Rav4 2013. Do you have any instructional video that I can follow or learn from Thanks. A: Installation is easy, just plug and play. We just sent you some photos for your reference about installation. A: DVD player is not included for this unit, because you can also play videos through USB and video app via this unit. 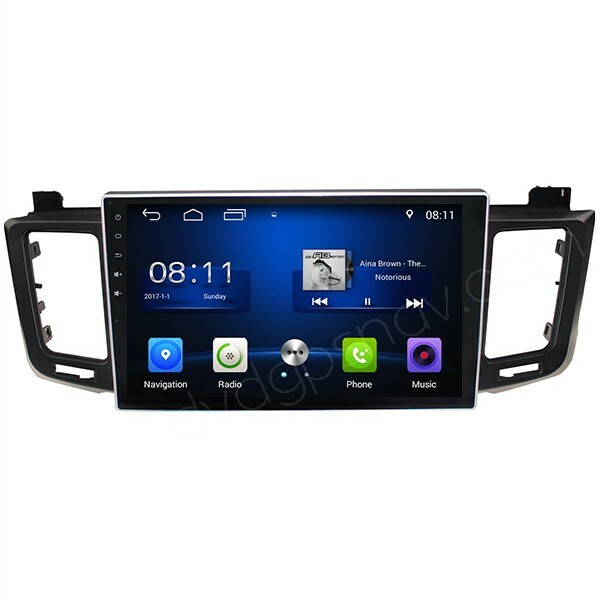 If you still need the one with DVD player, you can contact us via email sales@dvdgpsnav.com for another model, the price is higher. Q: Does this have XM radio built in or can it connect? Also how about the wattage? A: It does not have XM radio, just FM/AM radio built-in. It has 4x45w max power output. Q: Does this unit work with a 2018 Toyota RAV4? A: Yes, it works with 2018 Toyota RAV4 as well. Q: I have a 2018 Toyota RAV4. I would like to replace the head unit. How much are your head units and are they plug-and-play or is there a lot of work that needs to be done with cables. Does the unit hook up to the backup camera and connect to the steering wheel? A: The unit price is US$269. Our 10.1" Android Toyota RAV4 radio is plug and play with plugs matched the factory wiring harness. 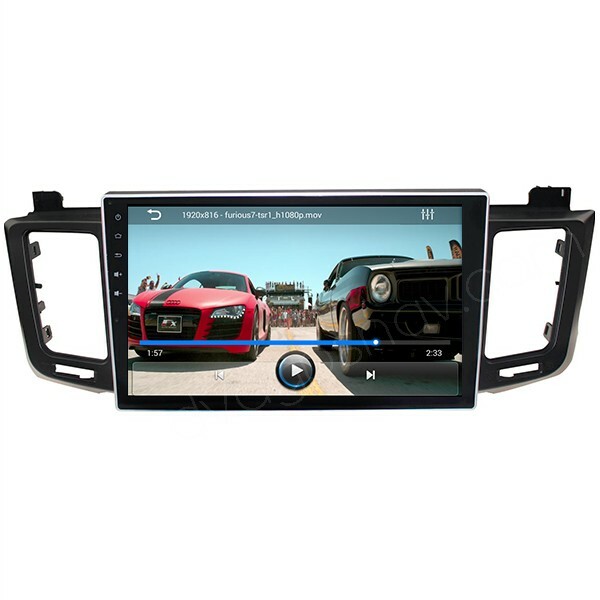 It can connect a backup camera with RCA connector, and it supports steering wheel control. Q: Toyota Rav4 2016. I want to install this system in my 2016 Toyota Rav4. Currently I only have the factory radio and I don't have any backup camera. I want to install a system like this along with a backup camera. Camera should be able to sync with system. I live in Winnipeg, Manitoba,Canada. Extremely cold temperatures. Let me know if this system can operate in very harsh weather conditions. 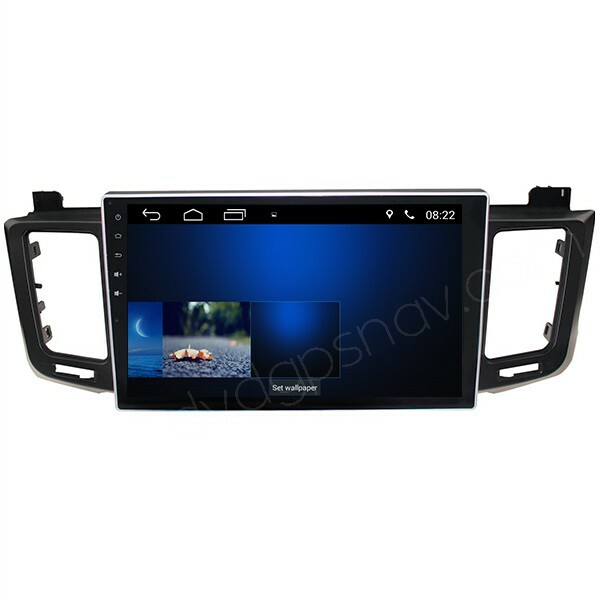 A: This Android head unit for Toyota RAV4 can connect a back up camera, if you need you can measure the dimensions from car license plate light to confirm if this camera fits: https://www.dvdgpsnav.com/2014-2015-2016-toyota-rav4-back-up-camera-ccd-hd.html This system can work in very cold temperatures.